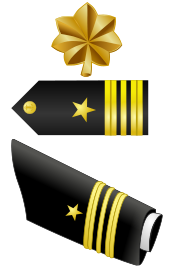 Older son pins on gold oak leaves as a Lieutenant Commander. Gee, it seems like yesterday when my father pinned on gold oak leaves as an Air Force major and only shortly after that I was wearing the 2 1/2 stripes myself. Ach, and we lose another great LT to the other side. . . Seriously, BZs to all of you. You have a great family tradition. . .